Sugar Land's Simone Manuel tied for the gold medal in the women's 100-meter freestyle at the Rio Olympics. 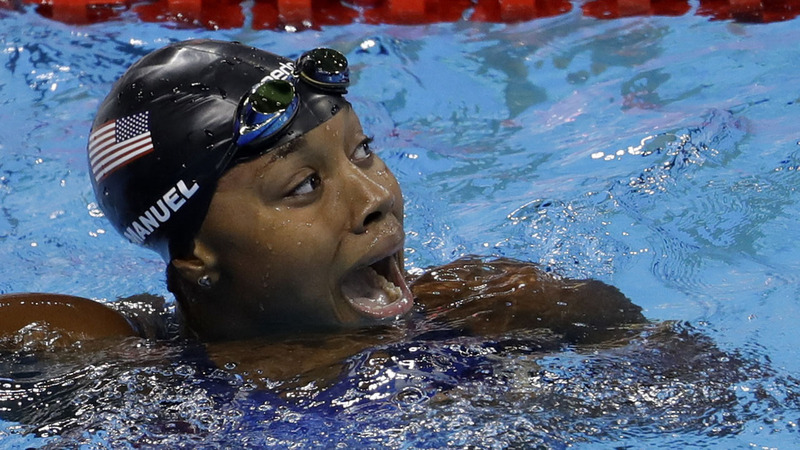 Manuel is also the first African American woman to win an individual swimming medal. 1. Simone Manuel, United States, 52.70. 2. Penny Oleksiak, Canada, 52.70. 3. Sarah Sjostrom, Sweden, 52.99. 4. Bronte Campbell, Australia, 53.04. 5. Ranomi Kromowidjojo, Netherlands, 53.08. 6. Cate Campbell, Australia, 53.24. 7. Abbey Weitzeil, United States, 53.30. 8. Jeanette Ottesen, Denmark, 53.36.